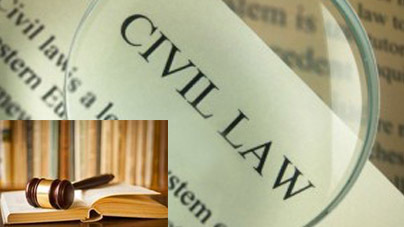 Let’s begin by first defining what a civil litigation is; it can be basically defined as any disputes sued in the court of law that does not involve a criminal prosecution. Examples of criminal prosecution includes kidnapping, murder, drug trafficking and in such cases the legal action is taken by either side of the local, state or federal government against that particular individual or organization that has committed the violation. For criminal cases the person that is found guilty of the crime are either put on probation, serve time in prison, be ordered to pay a fine that is determined by the court, or if the crime is of serious nature then it may even involve the capital punishment or death penalty. The examples mentioned are punishments that the accuse need to face when they have been found guilty of the crime that they have committed and this of course is to serve as a lesson for all so that others do not commit the same illegal acts in the future. This is in contrast to civil cases such as debt collection, defamation action and damages for personal injuries. For these the award is usually in the form of money that is paid from one party to another. The parties that are involved in a civil lawsuit include a defendant and a plaintiff. The plaintiff is the one that initiates the lawsuit when they file a complaint or a petition with the Court. The other party as mentioned earlier is called the defendant and they are the ones that respond to the lawsuit, the case then proceeds through the trial procedure and the case will either be resolved through a trial or a motion. So usually a civil litigation will involve legal actions between two private parties who are trying to seek monetary compensation or damages by the plaintiff. And usually in such cases the plaintiff has suffered by reasons of wrongful or tortuous conduct by the defendant. A judgment will then be made either in favor of the plaintiff or the defendant also you should take note that a criminal sentence cannot be imposed in any civil case during judgment. In Malaysia there are several types of courts each with their own specific functions, there is the High Courts and Subordinate Courts. There are also the appellate courts which is the Federal Court and the Court of Appeal. The provisions of the Subordinate Courts Act 1948 are the ones that govern and regulate the Subordinate Courts. The Subordinate Courts can be divided into Magistrate’s Court and Sessions Court. Now that we have discussed the break down of the Subordinate Courts, let’s look at each of their functions. For example a first class Magistrate’s Court has civil jurisdiction to try claims that do not exceed the amount of RM25, 000.00. While the Sessions Court has civil jurisdiction to try claims that go above the amount of RM25, 000.00 but does not exceed the amount of RM250, 000.00. The decisions that have been made by the Subordinate Courts can be appealed in the High Court. And speaking of the High Court, it has the civil jurisdiction to try claims that are above RM250, 000.00. As with the Subordinate Court, if you are not satisfied with the decision that has been made by the High Court you can make an appeal at the Court of Appeal for claims that exceed the amount of RM250, 000.00. If the claim is below the amount of RM250, 000.00 then a leave of the Court of Appeal is required. However you should take note that there is no automatic right of appeal from the Court of Appeal to the Federal Court and as such a leave must be obtained before you can progress any further. As a citizen of Malaysia make sure that you know your rights that have been granted to you under the Federal Constitution. You do not have to go in-depth into the law system and study it like a law student but the basic knowledge that you acquire will sure help you in the long run.